What a year it’s been for Snook, Tarpon, Redfish and other species in the Southwest Florida region. I have been blessed with one of the best years I can remember. Lots of days on the water, lots of wonderful clients and mostly cooperative fish. Lately, our fishing has been off the charts. Warmer fall water temps, have kept the fish active and abundant. We’ve been catching Tarpon as lately as a few days ago. Snook numbers are high. 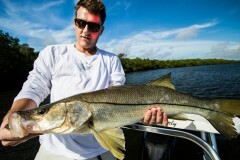 Just two days ago we had as many as 30 snook caught on one charter with at least 10 over 30″. 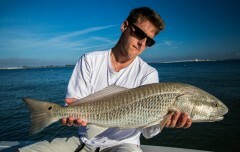 Nice Redfish and we’re seeing more and larger Trout making their way into the back country. Get ready for things to change though as the colder fronts are coming in and the water temps are going to move the fish into different areas. This will prompt different ways of fishing and using different bait.